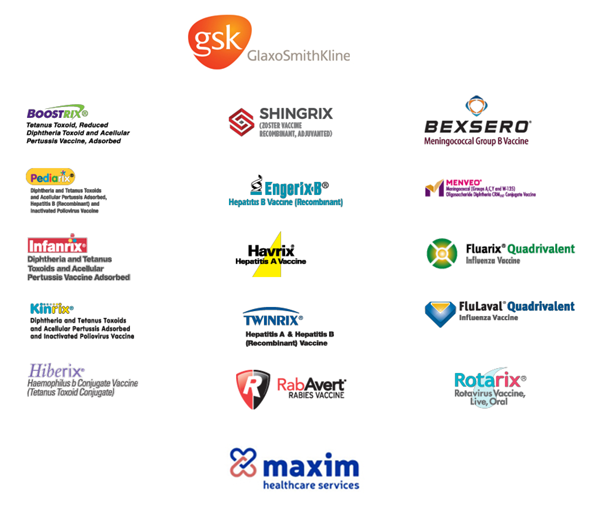 In our continued effort to make running a practice more practical and economical, offering staffing solutions through Maxim Healthcare services and discounts on GSK vaccines, we are happy to announce USPPG will be offering semi annual rebates to members purchasing GSK vaccines on USPPG contracted pricing. How will the USPPG rebates work? USPPG receives a rebate generated from the savings our members earn. Rather than keeping this rebate as profit, USPPG will be offering semi annual rebates to USPPG members based on their GSK purchases, up to 1.75% ! More information to come May 2019. MENINGITIS B OUTBREAK: To learn more select the link below. Last chance to save 2%! By pre-booking GSK flu vaccines before April 1, 2019, your practice will save 2% as an early reservation discount. Simply contact your GSK representative, contact GSK Direct at 866-475-8222 or your approved GSK distributor. USPPG WILL BE OFFERING REBATES. MORE TO COME IN MAY 2019. Don’t miss this opportunity to earn a rebate on you practice’s vaccine purchases from USPPG. USPPG will be offering rebates up to 1.75% to members using USPPG contracted pricing. This is on all GSK vaccines (including flu) every time USPPG receives an administration service fee for vaccines. More information to come in May 2019! Contact me with any questions about your USPPG membership. Please remember that US Physicians’ Purchasing Group contracts provide members with a substantial discount on invoices, and will begin to earn rebates. However, as a group if we fail to meet certain contract obligations, the special pricing from the manufacturer may be eliminated and result in higher prices for all.